Have I mentioned that it feels really surreal to see your work on a blog you've been a fan of for years? Yesterday some of my work was posted on Print & Pattern, which describes itself as "a website that celebrates the world of surface pattern design." 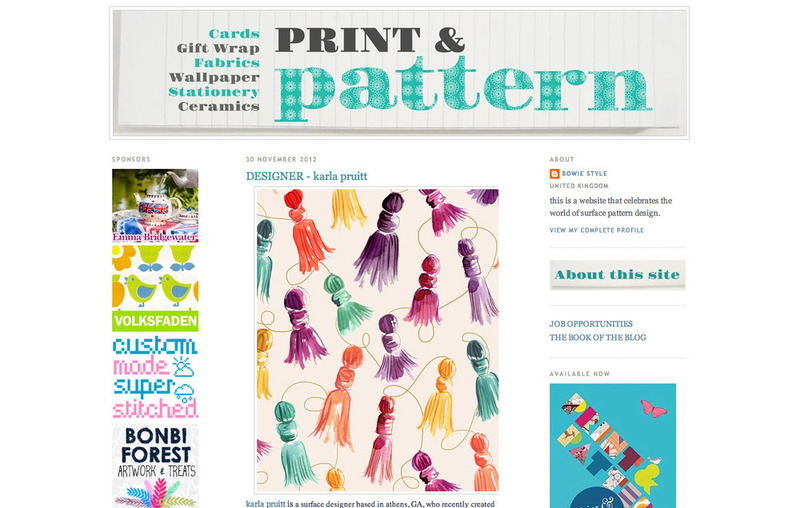 Print & Pattern is my favorite surface design blog, and I believe one of, if not the first. It's definitely the best! Thanks bowie style!